When it comes to your health, there is a ton of information you can track: calories, blood pressure, blood sugar, heart rate, etc. These are all great markers of particular physiological functions, but there has yet to be a very reliable marker of overall body and brain function. Recently, researchers and physicians have been paying close attention to Heart Rate Variability: a measure of the variation in time between each heartbeat. It is an indicator of mental resilience and behavioral flexibility, as it gives you insight into the part of your nervous system that controls your unconscious body functions (like heart and breathing rate). A key advantage of this measure is that it allows you to monitor your day to day body function very easily and noninvasively. For example, if you have a particularly stressful day, HRV not only gives you an idea of if/how that stress affected your brain and body but it also helps guide you on how to compensate for any mal-effects moving forward. Generally speaking, individuals with high HRV are mentally and physically healthier than those who have low HRV. At Infinity Healing, you will receive unique and specialized guidance and education on monitoring how your diet, exercise, and lifestyle affect your HRV as well as personalized consulting aimed at increasing your HRV overtime so as to train your body and mind to intervene in a healthy manner. It is extremely difficult to remove stress from your life, but by getting your body scanned and reviewing the data with us, we will teach you will how to adapt your stress response. You’ll remove the power from the stress and put it back in your own hands. Most HRV monitors show you the basics. 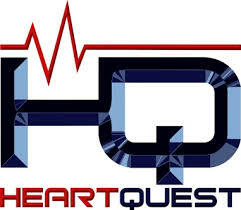 HeartQuest, on the other hand, splices the data into very interesting subsets (both western and eastern data sets) and shows you so much more on your current state and how your body is responding to the therapies. Most importantly, it gives you data you can use to make the changes needed and feel so much better. Your HRV is controlled by both branches of your Autonomic Nervous System (ANS), the Sympathetic branch (SNS) and the Parasympathetic branch (PNS). This is how your brain unconsciously controls house-keeping functions like your blood pressure, heart rate, breathing, digestion, etc. Your SNS and PNS dictate the full spectrum of your unconscious behavior from fight-or-flight (SNS) to calm and relaxed (PNS). Throughout our lives our brain (specifically our hypothalamus) is constantly processing and responding to a whole horde of varyingly stressful stimuli, from almost getting in a car accident (very stressful) to having a delicious meal (not stressful). The good news is that your brain is really skilled at responding appropriately to a generally balanced array of stressful stimulus – responding aggressively when appropriate as well as calmly and intelligently when appropriate. However, problems arise when the balance is removed and we experience persistent stressful stimulus: poor sleep, poor nutrition, work stress, relationship stress, etc. When this happens, your SNS begins to unconsciously dominate your physiology and eventually your behavior. You can monitor this paradigm shift by measuring your HRV. When your SNS begins to take over, your HRV drops. This means that the variation between subsequent heartbeats is low and that your brain and body are less able to be flexible and resilient to different stimulus. Instead, your stress response is running high. In contrast, when your PNS is in more control, you are generally more relaxed, calm and able to respond intelligently to a wide variety of stimulus – yes even the stressful ones! In this physiological state, your HRV is high, your ANS is healthy, and you are able to switch gears faster.